The website is attractive, but the entire bidding system is too complicated. It took half a day just to interview the writers and choose a fitting author for my project. The testimonials at the website seem fake. I left slightly negative feedback for my author, but you can’t see that one on the page. 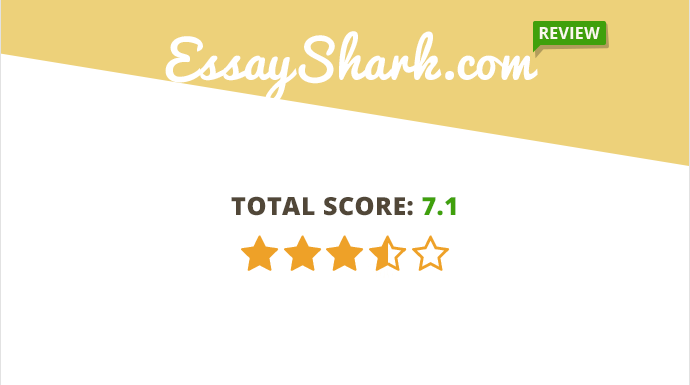 You can order any type of essay, admission paper, article review, research paper, thesis, and other projects at EssayShark.com. Since you get to choose your own writer through this service, the responsibility of making the right decision is on you. This means that the company is not responsible for the misunderstandings between you and your author. There is a money back guarantee and confidentiality policy at the website, but you won’t find any guarantees for quality. EssayShark gives you a chance to get a much lower price than the one another company would offer. For my essay, I got prices that went from $9 to $22 per page. I opted for the highest bid, since the author had relevant experience with the topic I had in mind. The unique ordering policy leaves no space for discounts. If you want a lower price, you simply choose a low bid. You’ll notice that none of the top writers uploaded a real profile pic. Most of these images are stolen from different online sources. Why are the authors anonymous if they are so good? Well, I still wanted to test EssayShark, so I purchased a paper and I can only say I was disappointed. The author made one revision, but the minimal corrections did not turn the mediocre paper into a great one. You can’t contact the customer support representatives, since the accent is placed on customer-writer collaboration. My writer almost never responded to the messages, so I had no other choice – I just waited for the outcome. Well, the blog is decent. You can see essay samples on trending topics, so I think this section can serves as an inspiration for your next assignments. Here is my overall impression as a conclusion for EssayShark review: the service has a nice concept, but poor realization. I think the mistake is in the choice of writers – mine was not up for the challenge. The company needs a strict selection system for authors who would help it achieve its true potential.